Each of our ministries depend upon the financial support of generous individuals and churches. If you would like to financially partner with Wayne and Drue in their ministry, please go here. If you would like to financially partner with Shawn and Jodi in their ministry, please go here, create an account, and then find the Banzhafs (#21106). If you would like to financially partner with Kurt in his ministry, please go here and find his name. 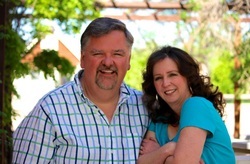 If you would like to financially partner with Glen and Peggy in their ministry, please go here.